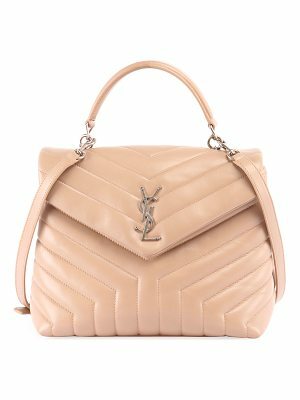 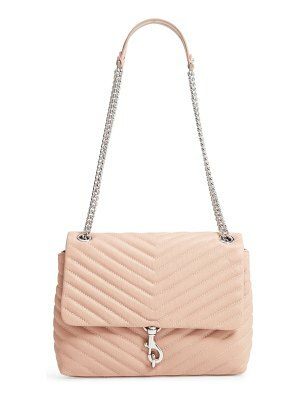 Saint Laurent shoulder bag in chevron-quilted leather. 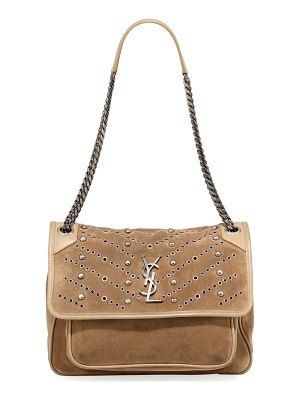 Sliding chain and leather shoulder straps. 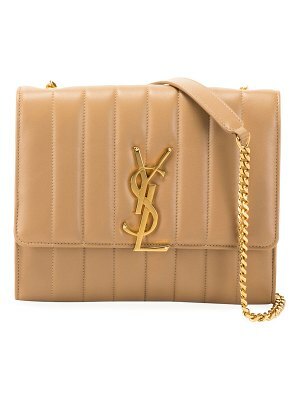 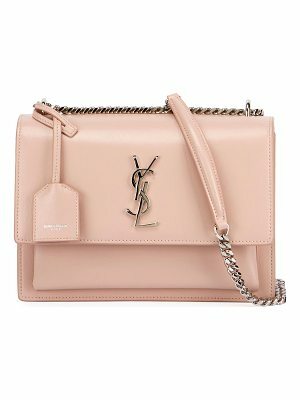 Envelope flap top with YSL logo; magnetic closure. 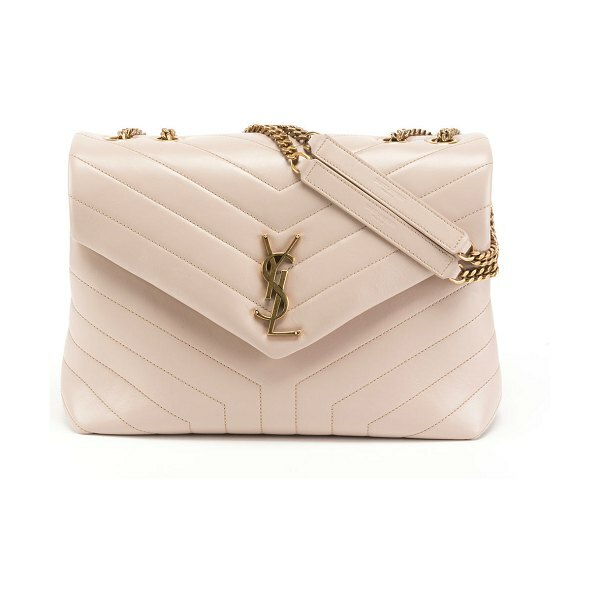 8.7"H x 12.6"W x 4.3"D. Made in Italy.